Question: I’m comparing AAPC CPC Course to CCO’s course can you help me figure out the differences? 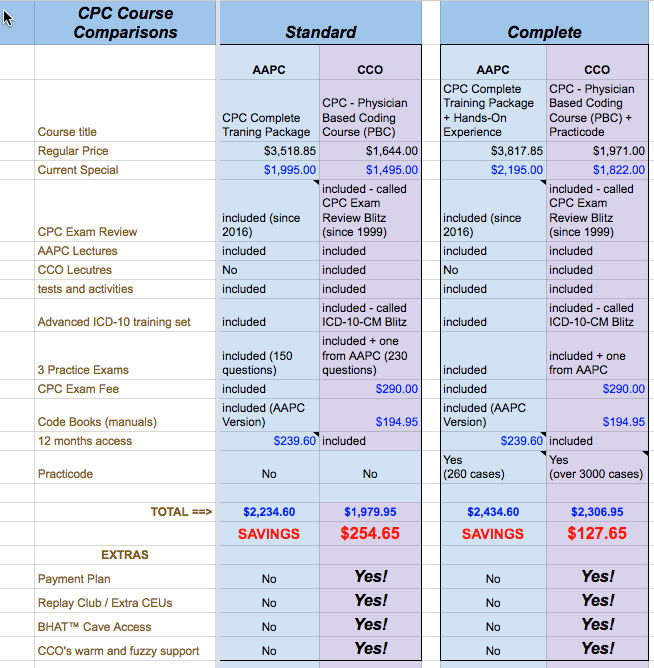 Answer: See this CPC Course comparison chart . Question: I'm comparing AAPC CPC Course to CCO's course can you help me figure out the differences?